As we all personally prepare for the upcoming 9/11 anniversary, our local community will host one of the many 9/11 Heroes Run 5k +1M fun run/walk this Sunday, September 8th, 2013. It is the perfect opportunity for our community to come together and thank our local veterans, their families, and first responders in an annual, fun, and family friendly environment. All are getting involved, even my daughters American Heritage Girls group pulled together donations and a team to do the 1M. In addition to this great event, the AHG committee will award the girls their running pin. We are all super proud of them. This event will not only provide us a moment to never forget 9.11, but it will raise awareness and provide proceeds to fund our local first responder, military, and veteran nonprofits. Remaining proceeds support Travis Manion Foundation Challenge Grants, which provide veterans and families of fallen service members by providing camaraderie, transition assistance, grief support, and education through service-based initiatives. 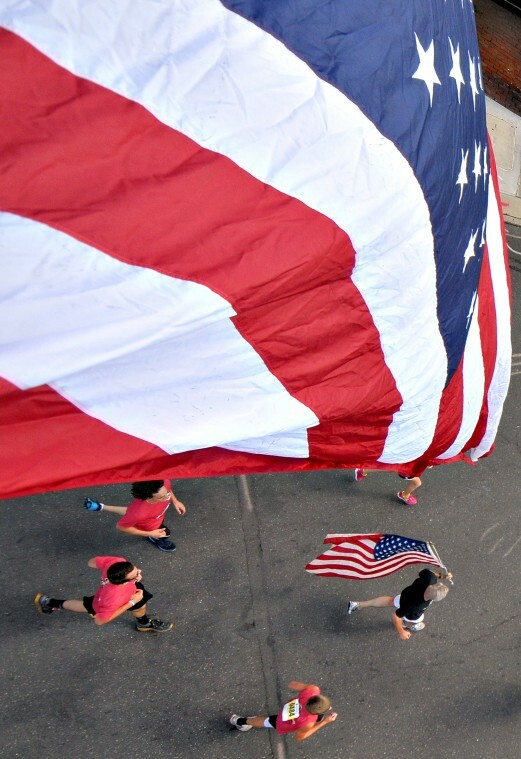 The 9/11 Heroes Run 5K & 1Mile fun run/walk welcomes runners and walkers of all levels and of all ages. If you want to see if a 9/11 Freedom Heros Run takes place in your hometown , please visit the map here.